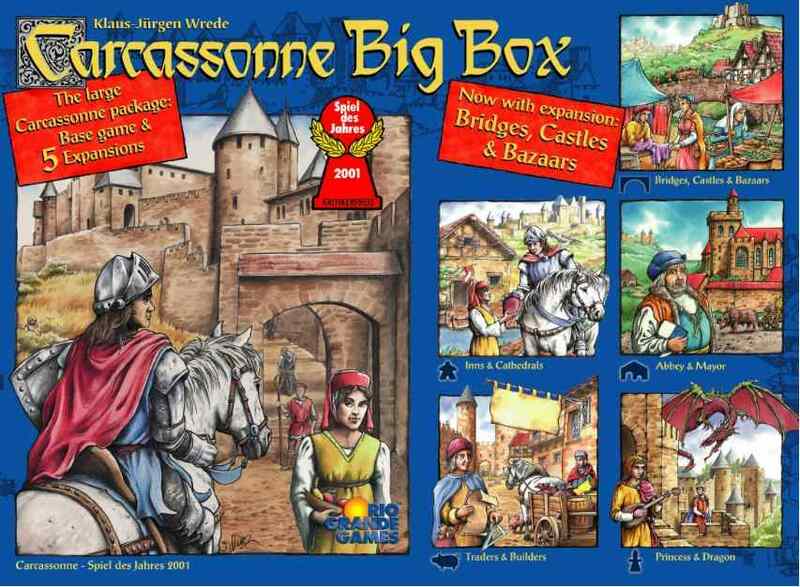 In the third Carcassonne Big Box you will find the basic game and five popular expansions for this fun and award-winning game. We pack all this material together, so fans can enjoy the game in many different ways which add even more fun to this great game.The components, if purchased separately would cost over $100! 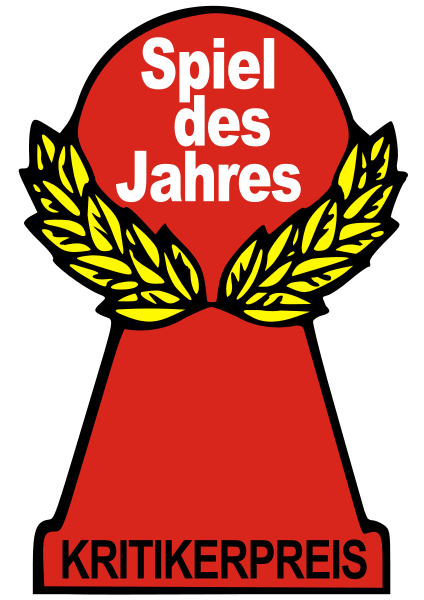 The expansions can be played together in any combination and are marked for easy sorting after the game. The box is designed to hold them all, each in its own place. Enjoy! The Cathedral triples the value of a city, and the Inn doubles the value of a road - but only when they are scored as completed features. At the end of the game, they reduce the value of a feature to 0. Players may use the new large follower to double their chances of contolling a city, road, or field. Traders can earn players extra points and builders enable players to place exta tiles, allowing the cities and roads to grow faster. A pig, properly placed, can enrich the value of a farm. Players can also collect wares for extra scoring at the end of the game. The land around Carcassonne is being visited by a dragon, making life very difficult for the followers. Brave heroes venture forth to face the dagner, but without the aid of the fairies, their chances are not good. In the city, the princess seeks help from the knights, and farmers build secret passages to move about undetected by the dragon. Traveling merchants move their goods to surrounding cities and monasteries. The cities in the surrounding countryside can increase to a size large enough to elect their own mayors. Simple farmers build large and wealthy farms and the church tries to strengthen their influence by establishing abbeys. Traveling peddlers travel into the country in order to organize bazaars, where haggling as art is performed. At the same time, engineers with new bridges to build encourage road contruction. Finally, small castles are built everywhere to secure the region.